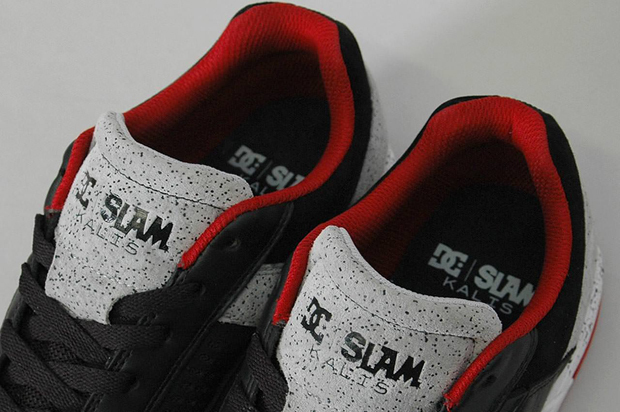 DC team up with Slam City Skates to create this exclusive version of the Josh Kalis signature Centric shoe. The first collab from DC in a long while. The Centric is a dope silhouette. Period. Everything from the air bubble in the heel to the side venting and the smooth toecap makes this a faultless piece of design. As big fans of Josh’s, it’s no surprise that the guys behind Slam City were drawn to this model for their collaborative effort. 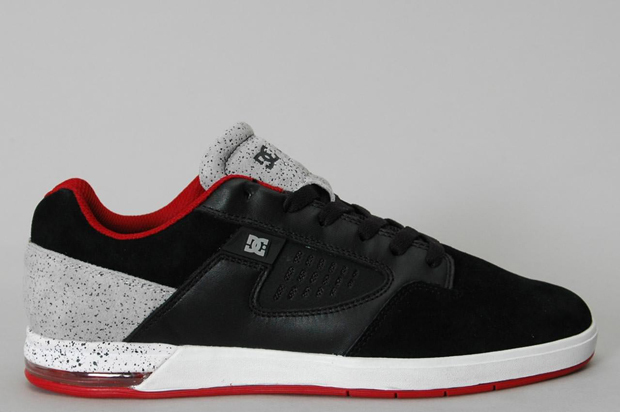 The shoe itself is packed full of DC’s best technologies including their SuperSuede on the upper, EVA midsole and no-sew vent holes. 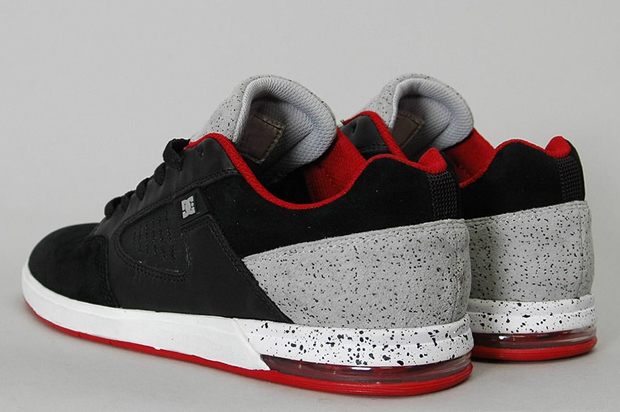 Taking inspiration from a London high rise building, the design is predominantly black (always a winner), with the right amount of speckled grey on the heel and tongue and a bit leaking onto the midsole at the back. Athletic red accents finish off this shoe to perfection, giving it a classic Jordan BRED aesthetic that the sneaker heads will love. 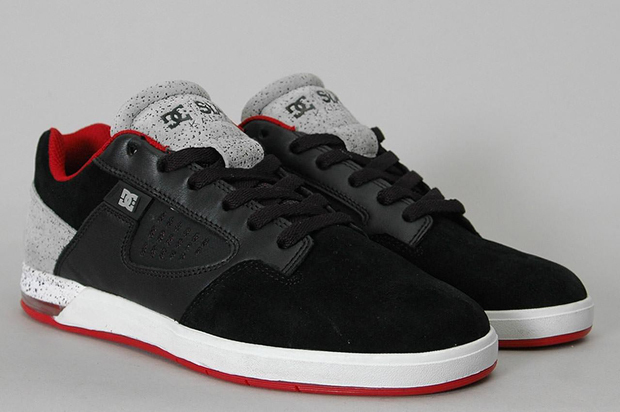 This shoe is a great example of how skate shoes have progressed in design recently and it makes us very happy to say that this is a UK exclusive, with less than 50 pairs in production and all of them being held at Slam City Skates. Hitting the shelves today, don’t expect these to be around for long. 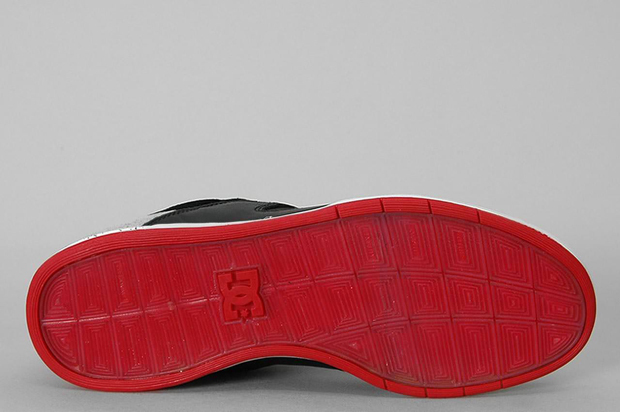 Head over to Slam City Skates to grab a pair for £70 before they go.